Well, I am still alive somehow. This year has been most pressing on my time. This is the first night in memory I have sat down before 10. Figure I could start a crude glog, mostly pictures probably and not much writing. Its been the busiest year ever for me, for everything in life really, from peppers to family to other projects and the real job. I have tried to keep up on some media, but couldn't all. I am hopeful with the tapatalk app I can update this easier. Anyway the grow is smaller again than last year but still above 250 plants, but less than 300. I have had a few loss and take a few out I lost interest in, so not sure the exact count. Some are producing at rates I have no seen before, others just average. I'll start with some more recent pics and work my way around, as I get time. I hope to find a few minutes here and there to catch up with a few glogs and post once in a while now that I finally got this done. Sorry to all those I have not been able to keep in contact with very much. Still one of my all time favorites - and they are killing it again this year. 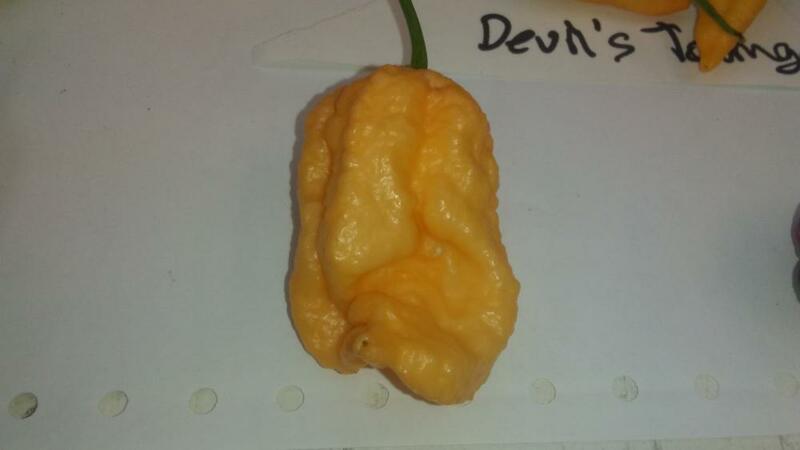 Peach Bhut WM from Wicked Mike originally. 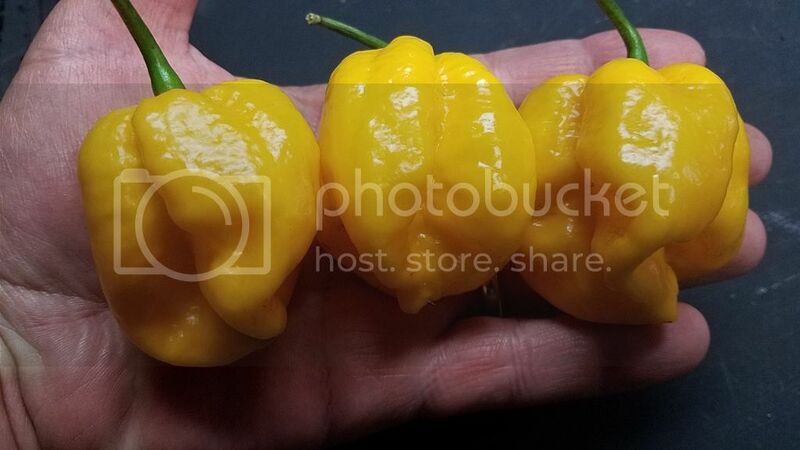 Another favorite pepper - Congo Trinidad Giant Yellow - some really tasty big yellow meaty pods. These are still an unknown. I assume they have reaper or primo in their background. This was a mislabel or plant mix up last year, so not even sure what it was supposed to be. I called it WHP 006 one of the accidents and unknons. 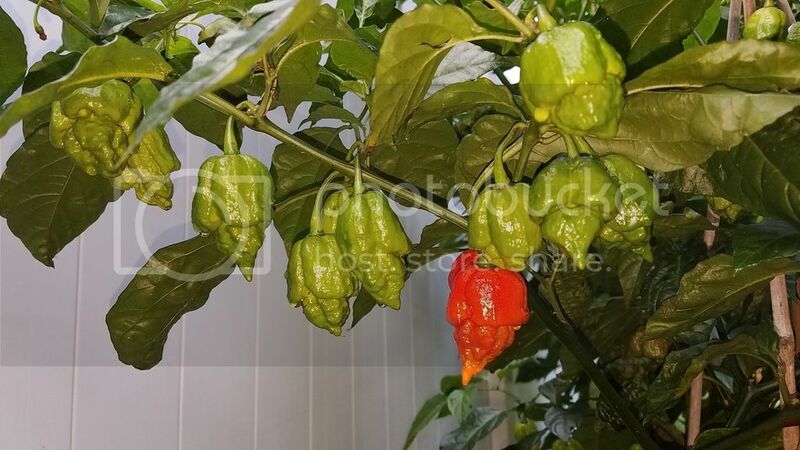 This year they are growing about the same, some of the angriest looking pods I have. 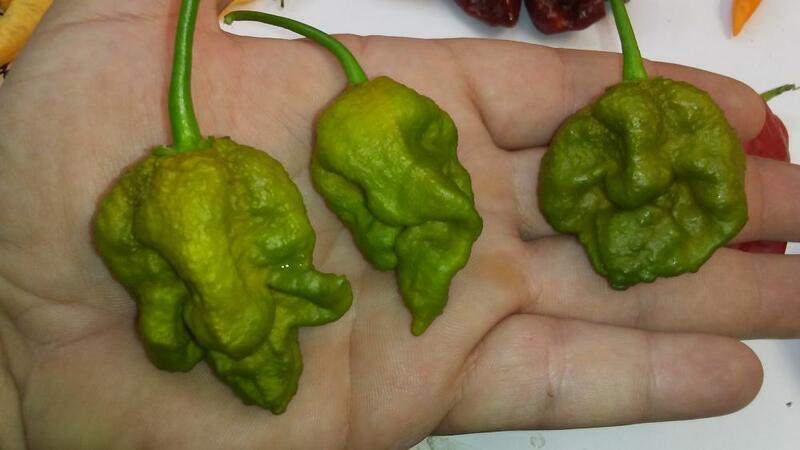 Apocalypse scorps just starting to ripen, plants covered in great looking phenos. what does your field or pots setup look like? 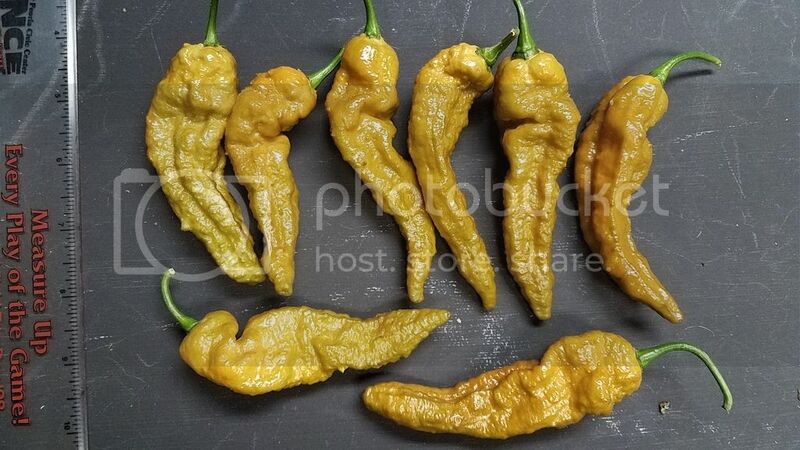 Those bhut golds look awesome... I need to get my hands on some of those seeds. Pods look amazing as usual Justin. Everything looks fab! Hope you're doing well. 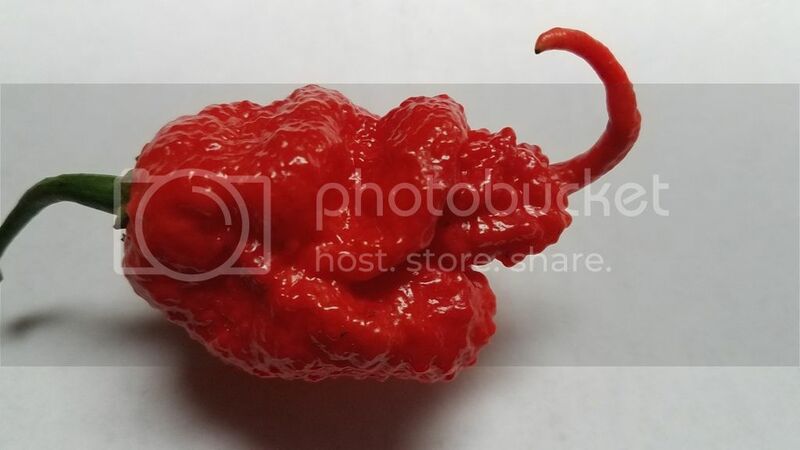 Wow, those are some amazing pods. 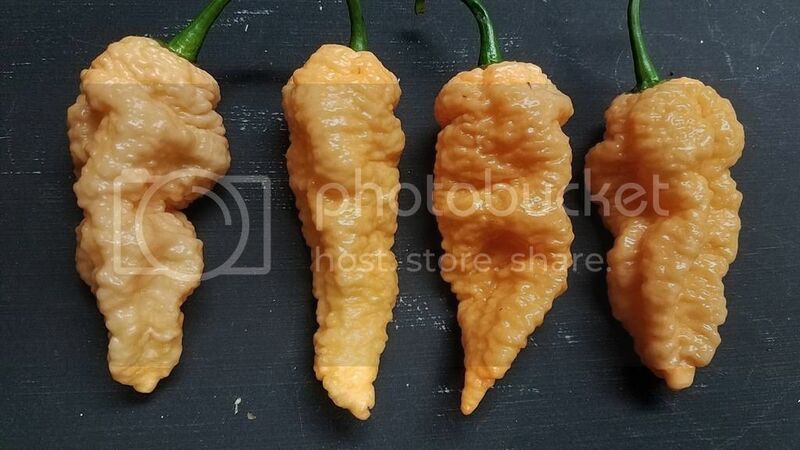 That primo/reaper, peach bhut, and apocalypse are scary looking. Then you've got it balanced with those tasty looking bonnets and Congo. Your pods always look amazing. Very happy with the seed stock you sent me the last two years the WM Peach Bhut and the white Bhuts are great. 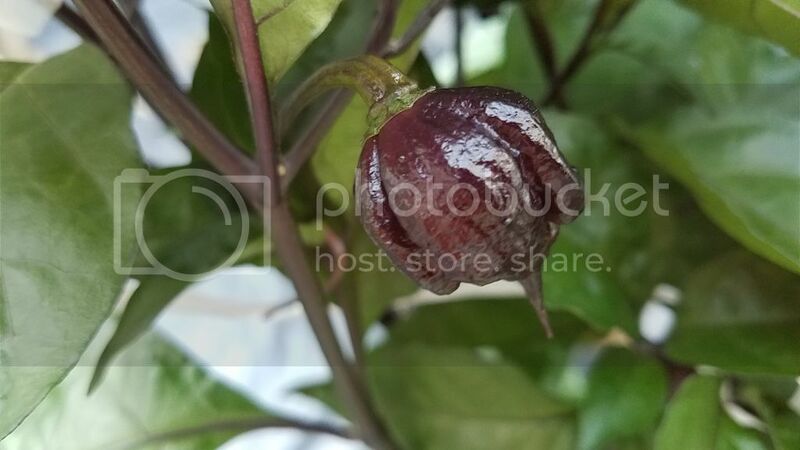 AK BOC went a peach colour for me and is my favourite chilli. Might end up eating a piece. These looked more ripe outside. Those look good. Often I can barely see a color change and go by feel. Your pods always look amazing. Very happy with the seed stock you sent me the last two years the WM Peach Bhut and the white Bhuts are great. 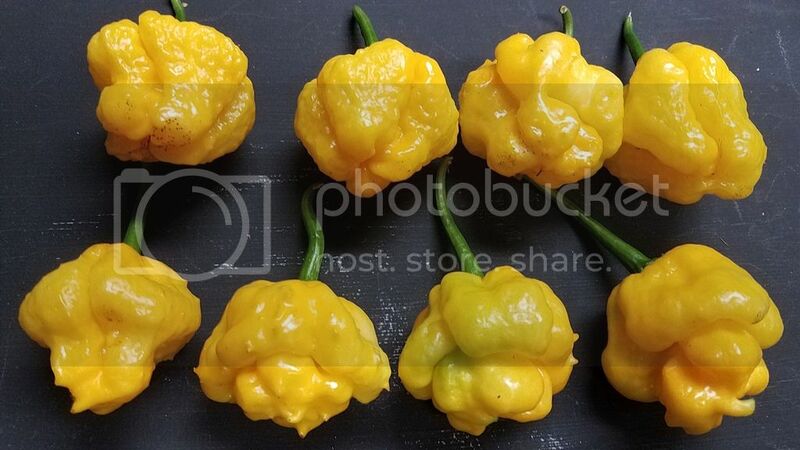 AK BOC went a peach colour for me and is my favourite chili. 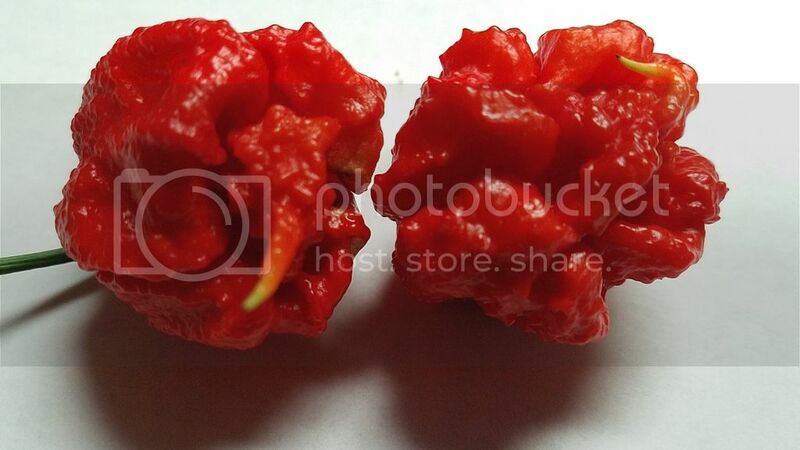 Thanks, I'll post some pics of the brain strain pheno that Andy got form those King BOCs. He sent me a pod a few yars back and I grew them last year and this year, they are pretty cool. More orange and most have a nice brain texture. Shapes are quite variable, some long some like a brain strain, and a few now with stingers. I do struggle with some shades of orange / peach. 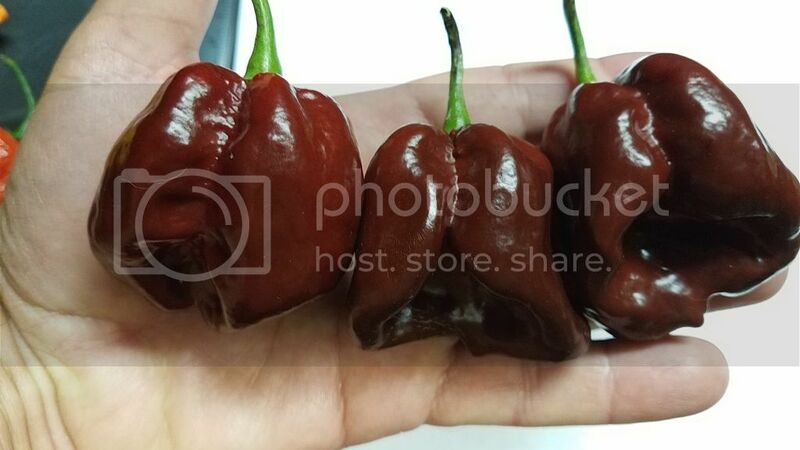 Colorblindness is not a good thing to have in the chili world. Thanks John. I need to look in on your glog some. I have some great bonnets going this year. I have some of the biggest most loaded plants I have had. one of the schneider farms plants has become a monster for the bonnet patch, and more pods than I have seen probably. Almost all of them are just producing like crazy though. Thanks again for all the great strains. I know Sandra has some really great things growing from you also. 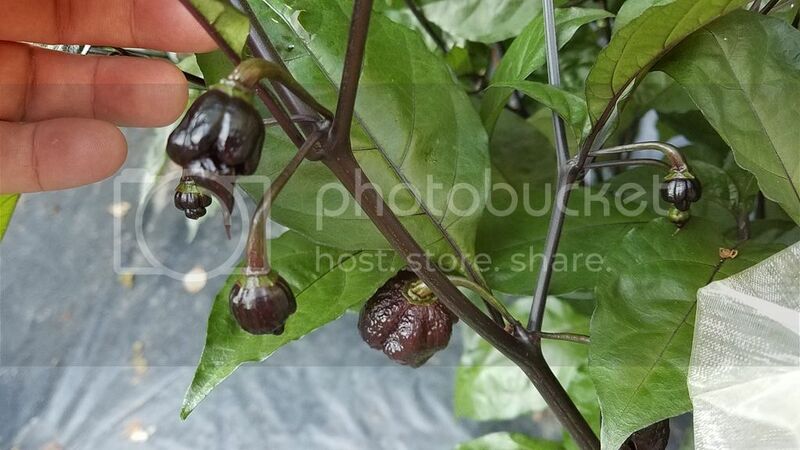 That Peach pdn x sb7j is looking great, I am regretting not growing it, but hope to next year. All is ok, just busy. Still too much going on to properly keep up with all the social media and forums. I hope to be able to at least post pics now that I have the app on my phone figured out and its going to make that at least much easier. I made salsa with one tonight. I am really surprised how good they are. I never got aroused to trying them before. My king boc is peach too. Which is fine by me. I wanted a lot of peach pods for sauce. Edited by Walchit, 21 August 2018 - 04:48 AM.